Nintendo of America big cheese Reggie Fils-Aime says that movie producers ask the videogame giant about the possibility of a Mario or Zelda movie "all the time." 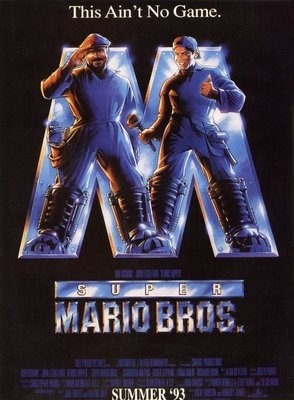 In 1993, people tried to turn Super Mario Bros. into a movie. While it's considered by some people to be a guilty pleasure on par with the original Mortal Kombat film, the general opinion is that the flick - starring Bob Hoskins as Mario, John Leguizamo as Luigi, and Dennis Hopper as King Koopa - was pretty damn terrible. That hasn't stopped Hollywood from trying to convince Nintendo to do another take, though, according to everybody's favorite NOA boss. When asked by the LA Times if film producers and executives expressed any interest in acquiring movie rights to Nintendo's classic franchises like The Legend of Zelda, Super Mario or Metroid, Reggie responded that they did, and quite frequently at that. "All the time," he answered. "The message [we tell them is], 'Thank you for the interest.' There have been certain [people] that we have talked in more detail with. But I think in the end, because we are a content company and are passionate about our franchises, it will be few and far between that actual deals are done to bring our franchises to life in a different way. These are our children." And Nintendo isn't going to hand over its children to just about anyone, you know. Besides, with Captain Lou having sadly passed on, would you really trust anyone to Do the Mario? I still can't believe Dennis Hopper was Bowser. That's so weird.